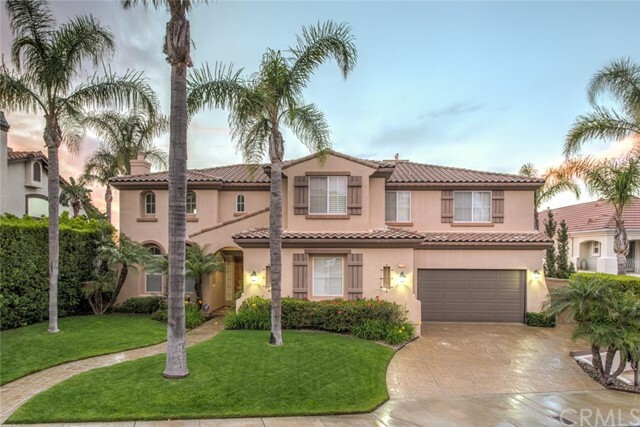 All Anaheim Hills homes currently listed for sale in Anaheim Hills as of 04/21/2019 are shown below. You can change the search criteria at any time by pressing the 'Change Search' button below. If you have any questions or you would like more information about any Anaheim Hills homes for sale or other Anaheim Hills real estate, please contact us and one of our knowledgeable Anaheim Hills REALTORS® would be pleased to assist you. 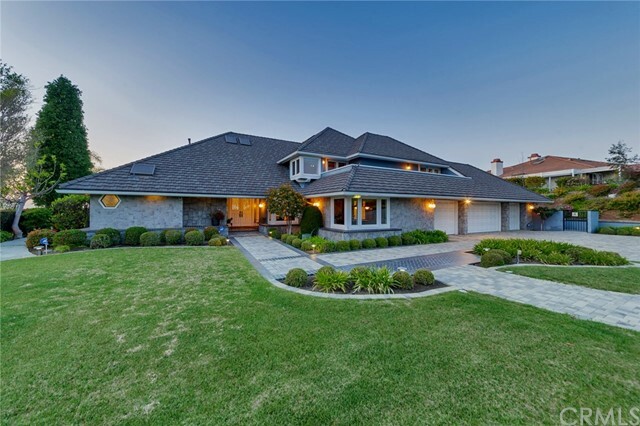 "Welcome to your Private Luxury gated estate with circular drive and over 10,000 Sq.Ft of comfortable living space.This Peralta Hills beauty sits on a sprawling, secluded and level, Approx 2 acre lot! Newly remodeled gorgeous kitchen with enormous center island,Dual sub zero's,6 burner Dacor stove, 150 bottle wine fridge,etc etc. Stunning main floor master suite with retreat,fireplace, dual walk ins and elegant jacuzzi tub. Three other en suite bedrooms located on first floor. Spacious living,dining and family rooms.Separate huge Professional Party Bar that opens to your indoor pool,spa and sauna area.Upper level has spacious game room and guest quarters with separate entrance.Step out to overlook the Resort style tropical grounds featuring an enormous party spa,pool with beach entry, cascading waterfalls and swim up bars.Unbelievable covered party cabana with full outdoor Kitchen,Flat screens,fireplace and lots of room for entertaining.Meander down the path to the separate 2650 Sq.Ft guest house presently used as gym with complete professional weight room.Here you will also find the full indoor basketball/racquetball ball court.To complete the grounds there is a lighted tennis court,full beach volleyball court and Spectacular panoramic City light View! Down the back gated driveway awaits the Six car and separate RV garages." "Beyond the imposing gates of the small enclave known as Cobblestone in the heart of Peralta Hills,this grand Mediterranean residence is a wonder of grand proportions on lushly appointed one-acre grounds.Wrought iron gates open to an enchanting courtyard with impressive Koi pond.Expansive stone and hardwood flooring,brilliant crystal chandeliers, exquisite faux paint finishes and exquisite craftsman caliber detail add to a sophisticated yet relaxed ambiance throughout.Highlights include an intimate formal living room, a grand formal dining room with coffered ceiling & custom fireplace, plus a Great Room ideal for billiards with two sitting areas one with a fireplace and room for a baby grand piano, the other with large professional style wet bar.Steps downstairs lead to a massive multi-purpose bonus room.The kitchen is a chef s dream featuring a large center island, granite countertops,gorgeous custom cabinetry,side by side SubZero refrigerators,commercial grade appliances including a 6-burner range with griddle and double ovens,plus large dining nook.There are 8BR & 6BA in the home including the master suite with large retreat, lavish bath, custom walk-in closet & dual balcony access.Walls of glass from nearly every room overlook the tropical paradise where towering palms,various open-air patios,a rock formation pool with waterfalls,lush gardens,sports court,and a regulation lighted tennis court make it an entertainer s resort like no other on today s market!" "Gorgeous modern-infused French Chateau estate located in North Orange County s prestigious guard-gated community of Copa De Oro. This estate offers stunning views and a seamless combination of high-end finishes and architectural design elements. The home boasts approximately 7,500 SF of interior living space with 6 bedrooms, 8 bathrooms, a dramatic two-story grand foyer with floating wrought iron staircase, elegant living room with clerestory windows, wood paneled executive office, and large family room with a wall of French doors overlooking the grounds. Well-equipped chef s island kitchen features Gaggenau and Sub-Zero appliances, dual dishwashers, rotunda breakfast room and huge walk-in pantry. The home has multi-generational capabilities with a large main floor in-law suite with retreat and lavish bath along with an incredible upstairs master suite and retreat overlooking city lights. The private grounds boast stunning views, pool, spa, and a lush lawn area. Complete with a gated circular driveway and garaging for 4 cars, this extraordinary estate is now available for the buyer who demands privacy, security and a distinguished lifestyle." 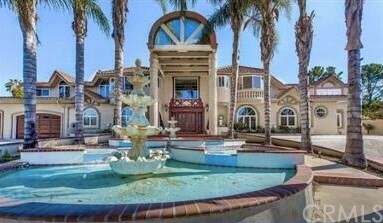 "This jaw-dropping, multi-family estate in the prestigious community of Peralta Hills, will amaze you. 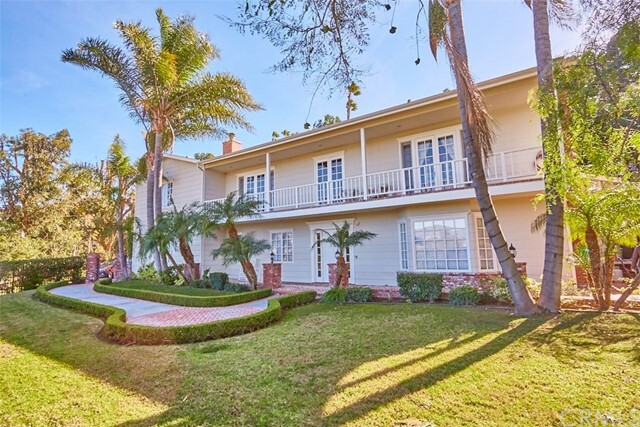 Privately gated with a grand entrance and impressive motor court, accented with stone water fountains, it boasts 10 bedrooms,11 bathrooms, plus a den, two offices, game room and a deluxe movie theater with surround sound, stage, sound-proof walls/door, bar area and private entrance. The grand entry opens to dual curved wrought iron staircases and vaulted ceilings with skylights bringing in a rush of natural light. The open floor plan flows from room to room including two formal living rooms with fireplaces, a comfortable family room, a bright and airy breezeway, sitting room, guest quarters and several Master suites. One side of the home features a separate wing which can be closed off for multi-generational living, with a full kitchen, 4 bedrooms including 2 master suites, separate laundry area plus an office. Both kitchens feature granite countertops, stainless steel appliances and center islands. An elevator makes moving through this expansive home easier, while numerous spacious closets and a large butler s pantry provide ample storage. Lavish design touches are evident throughout like crystal chandeliers, stately pillars, crown molding and much more. The park-like grounds are an entertainers dream with a lighted tennis court, covered pool/spa and built-in BBQ area. Plus, the rooftop deck is a great spot to admire the spectacular panoramic city views and fireworks!" "HUGE PRICE REDUCTION TO SELL on this custom estate tucked away in an intimate enclave, and perfectly suited for multi-generational families complete with guest wing and separate guest apartment with its own 2 car garage! Passing through this remarkable residence, one will find the perfect infusion of Spanish and Tuscan architecture, exquisite craftsmanship, and posh decor. Gracious living spaces include the impressive dining room with custom sandstone fireplace, adjacent butlers pantry and wine closet, well-appointed island kitchen with high-end appliances, and an immense great room with sophisticated media niche. The main floor guest wing features a large game room and wet bar, and an oversized en-suite bedroom with private entrance. Upstairs, retreat to the master suite with fireplace, seating area, sizable balcony, and spa-like bath with dual vanities, stone-infused walk-in shower and jetted tub. Expansive loft and three bedrooms complete the second level. Retire to the separate 1-bedroom guest house with its own 2-car garage, featuring a family room, kitchen and stone-infused bath. Exterior entertaining is effortless with the lush lawns and tot area, resort-like gated pool and spa, intimate outdoor fireplace and oversized barbeque island. RV parking, garaging for 5 vehicles and gated motor court complete this one-of-a-kind property." 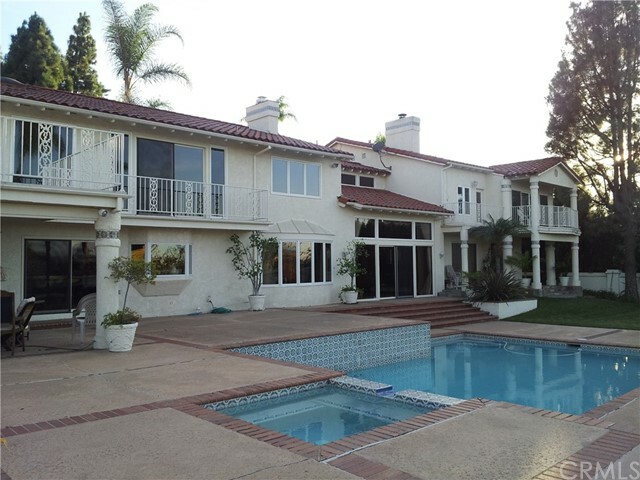 "Great deal its in Peralta Hills... This is a beautiful luxury home in Anaheim Hills double door entry with beautiful city views 2 bedrooms 4 baths down stairs 2 sunken tubs one is a double door entry master suite and 3 bedrooms 3 baths up stairs with a huge double door entry to a 1200 sqft master suite with a fire place with lots of windows to enjoy the city views also 2 huge walk-in closets and a huge balcony to enjoy the view huge oval bathtub to enjoy the view Pool and spa huge covered patio area 2 out door sinks gas grill full tennis court basketball court over an acre of land with lots of room to do what you want several fruit trees, 18 palm trees. Corner lot 4 car garage huge drive through drive way 3 fire places sky lights huge music room or great room or 2nd family room 2 wet bars 1 up stairs and 1 down stairs 300+ bottle temperature controlled walk-in wine room/cellar, huge great entertainment room upstairs, grand entry marble floors custom medallion, beautiful wood walls and ceiling in library coffered beautiful wood walls in family room formal dining room with built-in china cabinet octagon window mirrored ceiling great home office, home gym, elevator, central vacuum system, high ceiling, big laundry room, great floor plan, 3 balconies, outdoor fire pit, outdoor shower near pool, 3 covered paitos' priced under appraisal this is a great opportunity for investor or a family"
"Paradise is this luxurious custom 5 bedroom 5 bath home with stunning panoramic views of the city. This Mediterranean home is located on a gigantic 1.3 acre lot and accompanied by beautiful sprawling green hills that provide privacy and comfort from every angle. Hints of Greek, Middle Eastern, and Mediterranean design provide this masterpiece with character, elegance and integrity. Beverly Hills estate quality In Orange County, with massive amounts of imported marble, a spectacular circular staircase entry and absolutely nothing left to the imagination. This gentle giant boasts a huge ballroom along with a 3000+ sq ft private slate balcony and custom maid quarters. Not impressed? Don't worry there's more. On a typical SoCal summer day you'll be able to enjoy an ice cold beverage and 180 degree views of nature, city lights and the calming buzz of metropolitan Orange County from your refreshing pool. Not your style? Try telling stories, sharing memories and gazing off into the distance at electrifying snow capped mountains on a chilling winter night, gathered with those who matter most. Dry off, go upstairs and stimulate your wildest dreams with the help of the fun-inducing wet bar. The only thing you'll regret, is that you didnt find this property sooner." "360 Shivom Ct. is a stunning Tuscan Estate situated inside the gates of the exclusive Village of Fiesole. A spacious cobblestone/paver courtyard welcomes you to handcrafted, double wrought iron doors. The highest quality workmanship and materials went into building this expansive 6 bedroom, 6.5 bathroom masterpiece. The entrance boasts an extravagant interior featuring marble, stone, travertine flooring, and dramatic cathedral ceilings. The chef s kitchen boasts superb appliances including granite counters, center-island with free standing stove and grandeur cabinetry. The lavish master suite enjoys a fireplace, spa bathroom and private balcony. There is an impressive library with gorgeous wood built-ins and etched woodwork which creates an inspiring work space. Find space for entertaining at the outdoor pavilion and storage in the spacious 3 car garage. 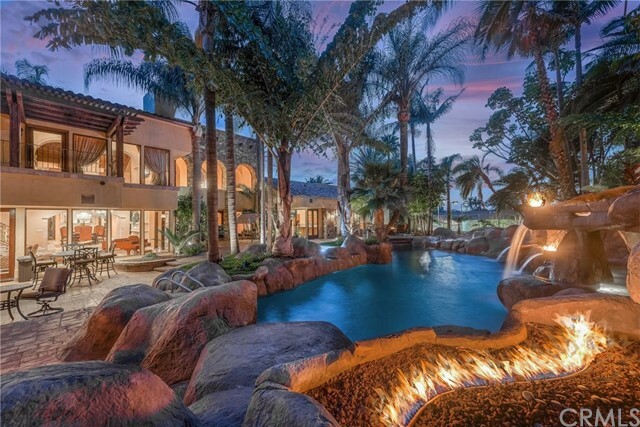 Tucked away in the luxurious Anaheim Hills, this immense estate is fit for royalty." "STUNNING custom view home, located in the highly-desirable gated community of Fairmont Crest Estates. This open luxury of approximately 5,400 square feet includes 6 bedrooms (with a downstairs in-law suite), 5 baths, and a dedicated office and spacious library. Your new home awaits through elegant, leaded glass double-doors to a view of soaring ceilings and elaborate crown molding, a sophisticated, custom wrought-iron curved stairway, and impressive 24 travertine stone flooring. The formal dining and living room with a dramatic pre-cast fireplace offer the perfect setting for dinner parties, and a grand gourmet kitchen with top-of-the-line stainless steel appliances makes this an entertainers dream. A spacious family room with a walk-behind granite bar, stone fireplace, multi-functional entertainment niche, and an incredible 400-gallon salt-water aquarium. The grand master sanctuary is equipped with a beautiful travertine stone bathroom, separate retreat, and a remarkable viewing balcony. Finally, escape into a personal Oasis ~ a 5-hole executive putting green, cabana with retractable awnings, 2 barbecue areas with a built-in ice chest and refrigerator, outdoor bathroom and shower area, and a magnificent fiber-optic saltwater rock pool with waterfall, slide, and large spa. Gorgeous views that take you from sunsets to city lights, exclusive privacy tucked into an oasis of mature landscaping, a large, functional lot, and so much more!" "380 Shivom Ct. is a stunning Tuscan Estate situated inside the gates of the exclusive Village of Fiesole. A spacious cobblestone/paver courtyard welcomes you to handcrafted, double wrought iron doors. The highest quality workmanship and materials went into building this expansive 5 bedroom, 5 bathroom masterpiece. The entrance boasts an extravagant interior featuring marble, stone, travertine flooring, and dramatic cathedral ceilings. The chef s kitchen boasts superb appliances including granite counters, center-island with free standing stove and grandeur cabinetry. The lavish master suite enjoys a fireplace, spa bathroom and private balcony. There is an impressive library with gorgeous wood built-ins and etched woodwork which creates an inspiring work space. Find space for entertaining at the outdoor pavilion and storage in the spacious 3 car garage. 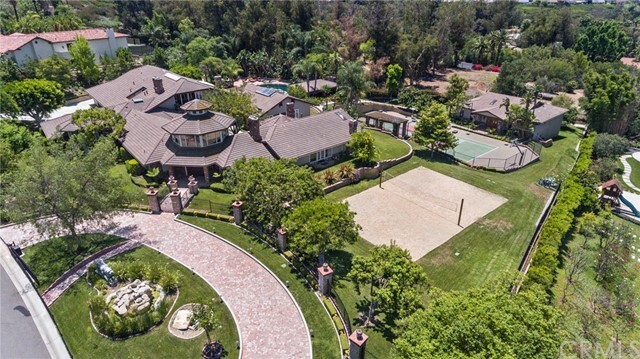 Tucked away in the luxurious Anaheim Hills, this immense estate is fit for royalty." "Welcome to 5100 E. Copa De Oro Drive! Located in the exclusive 24 hour guarded gated community of Copa De Oro, this one-of-a-kind French Normandy inspired estate seamlessly blends grand architectural design elements with large and open living spaces to provide the ultimate in luxurious living. Greeting you is a grand two story foyer with a window from floor to ceiling, which has a great view through to the tranquil backyard. The Living room features a fireplace and an impressive stairway leading to 4 large bedrooms. Countless features include marble flooring, high ceilings adorned with intricate crown moldings, extensive windows & french doors, custom hand blown chandeliers in nearly every room, stone and granite infused bathrooms, and dual wrought iron staircases. The Master Bedroom consists of a roman bathtub, separate enclosed shower, his & hers separate sinks, large walk-in closet, and a vanity area. The kitchen showcases a granite island kitchen for entertaining with an extra sink, Subzero refrigerator, 2 dishwashers, trash compactor, and a double oven. The large family room includes a wine cellar, sink, and its own refrigerator. The Backyard is completely private and tranquil. Surrounded by mature trees, the rear grounds boast dining patios with wonderful river stone inlays, lush green lawns, oversized spa and playhouse for the kids. A rare opportunity, in a beautiful community!" "A Beautiful remodeled Estate Home that is located within a secluded gated community lies an exquisite completely remodeled 5 bedroom+office, 4.5 bath estate. Approximately 4,728 SqFt , 22,520 SqFt lot, this luxurious custom designed home boasts an amazing blend of elegance and craftsmanship was used when creating this stunning residence. With the finest attention to detail, the gourmet kitchen with all the amenities and stainless steel appliances. This home has a spectacular formal entry with sweeping staircase, Living Room, Family Room with sunk in bar, wood floors, great entertaining rooms, large backyard with pool/spa as well as large grass area, beautiful master suite with fireplace, grand master bath and walk in cedar closet, all bathrooms are remodeled, lights and bright, 3 car garage, RV Access and is very private. This is a must see property. The floor plan creates an elegant living space that is perfect for entertaining. Lots of upgrades throughout the home including Bi-fold doors that open up to the beautiful backyard with pool." "Simply stunning single level home situated in the exclusive gated community of Country Hills Estates with only 11 high-end homes on half-acre parcels. Savor the privacy and tranquility of this secluded, cul-de-sac location set against lush landscaping and unobstructed mountain and forever city views. A spacious flagstone courtyard welcomes you to impressive European wrought iron & glass doors. The highest quality workmanship and materials went into building this 4 bedroom, 4.5 bathroom masterpiece. Tuscan-inspired architecture with high ceilings, gorgeous travertine floors, custom murals, 2 granite fireplaces, crown molding throughout, custom built office .. including a 900-bottle wine cellar, marble and stone bathrooms, and so much more! The chef s kitchen boasts superb appliances, granite counters, gorgeous cabinetry, an oversized center-island, and a large breakfast bar. Entertaining is effortless on these private grounds showcasing an inviting outdoor fireplace set against a lush wooded backdrop, an elegant spa with soothing water feature, dining patio and large barbeque center. The gazebo is perfectly situated on the side yard to enjoy the amazing views. Charming mature landscaping adorns the entire grounds, which includes approximately 10 fruit trees. Lastly, the 4-car garage, housing a Tesla charging station, and extended driveway allows for plenty of parking for you and guests! Don t miss this opportunity to live in this amazing home and community!" "A private driveway takes you to this wonderful, secluded home tucked away on an acre lot. It boasts 6 bedrooms, 4 full and 2 1/2 baths, pool, and spa. Cathedral-vaulted ceilings in the living room with ceiling to floor windows show the panoramic view of the neighborhood and lake during the day and city lights at night when you can cozy up to one of the two fireplaces in the room. From the granite counters and island to the cooktop, sub zero refrigerator and double ovens in the kitchen, you can take a few steps up to the master bedroom with it's gorgeous view. The master bathroom has a heated floor with jetted tub, large, separate shower, sauna, Jack and Jill dressing areas with separate closets and bidet, all impeccably done. Then, down to the game room, with a wet bar and wine cellar to unwind. Then, out to the pool and spa for another dimension of the view. There is also a separate master bedroom on the main floor, and four more bedrooms up a level. The panoramic view can be seen from almost all rooms! Most of the home with the exception of the 4 upstairs bedrooms has been remodeled/updated. The back of the lot has stairs to the top and is great for planting trees or a garden. It's also conveniently located to the 55 and 91 freeways and shopping close!" "Experience the exceptional Estates of Hidden Canyon where location, location, location is unparalleled! 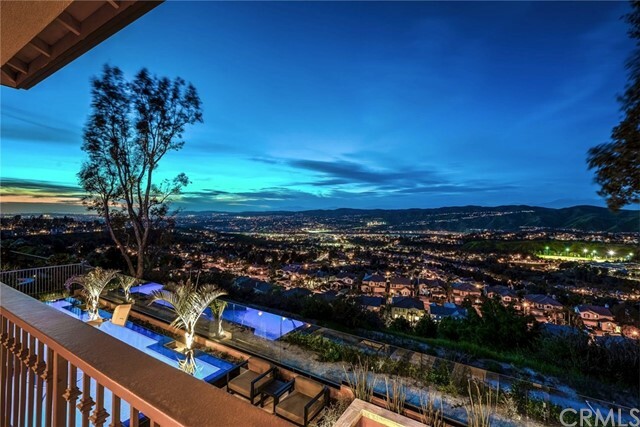 This rare beauty boasts stunning panoramic views stretching from downtown L.A. to the San Bernardino Mountains and the vast span of dazzling city lights in between. This extraordinary two-story Estate features 4 bedrooms, 4 bathrooms, 3 fireplaces along with a glimmering pool and spa is perfectly perched on a large, private lot in Hidden Canyon. Desirable floor plan with main level Master Retreat including vaulted ceilings, romantic fireplace, and en-suite with walk-in shower, separate Jacuzzi soaker tub, and spacious walk-in closet. The main floor also offers a second bedroom and a large office that can easily be converted to a 5th bedroom. You will appreciate the vaulted ceiling and captivating views from the formal dining and living rooms. The kitchen is finished with granite counter tops and opens to the family room and entertainer's bar. The upper level is complete with a large bonus room, 2 additional bedrooms and 2 bathrooms, as well as a balcony overlooking beautiful Santiago Oaks Regional Park. Enjoy the lush, well-manicured landscaping and built-in BBQ while entertaining family and friends around the pool and spa and taking in the majestic views. This home has plenty of storage space and a 4 car garage with an oversized driveway accented with brick pavers. This exclusive community is highly sought and seldom available. This breathtaking location won't last!" 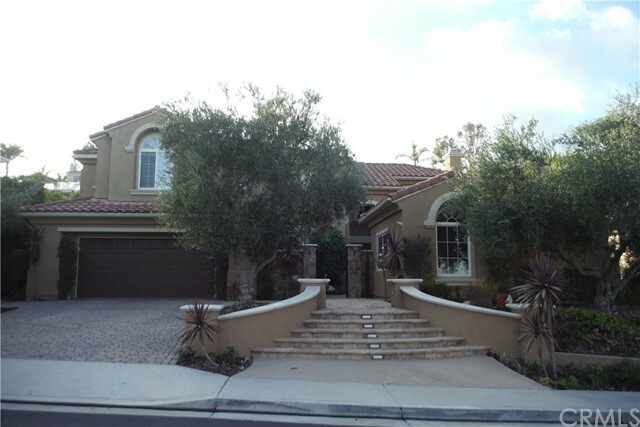 "A Private Driveway takes you to this wonderful, secluded home in the most desirable Anaheim Hills. It boasts 5 bedrooms, 4 full and 1 3/4 baths. A sparkling saltwater pool and spa allows for fun and relaxation for everyone in the family. Entertaining is effortless as you and your guests enjoy the game room or your private backyard oasis. A Rare custom split level floorplan that has an incredible spaced design for everyone. The kitchen has everything to offer, including a Built-in refrigerator, custom accents, diamond squared wood, and brick flooring. The kitchen, formal dining, and family room are on a middle level which opens onto the BBQ area and the Rock Waterfall Pool & Spa with a slide. The Master Bedroom offers a fireplace, 2 walk-in closets with a huge dressing area. The master bath offers, jetted spa tub, shower, dual shower heads, and private bidet. The lower level has a front entry, office, laundry, bathroom, then to the entertainers game room. 2 driveways with gated access. You can enjoy your beautiful oasis and city views from the second level balcony. 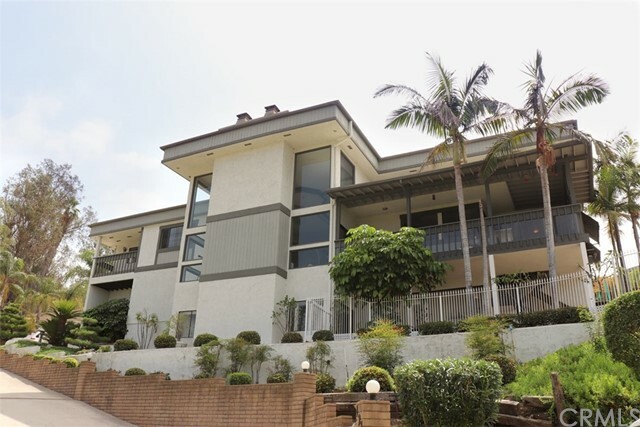 The house is located near the 91 and 55 Freeways-only minutes to shops and exquisite restaurants. If you're looking for Seclusion, Gorgeous Ready, This Is Your Home!" "Occupying a stunning view lot in the guard gated Summit Pointe Estates, this modern smart home was perfectly redesigned to achieve the highest level of luxurious living & water/energy efficiency. Newer negative edge pool & spa seamlessly blend in the forever panoramic views in the backyard! Newer outdoor kitchen with top-of-line appliances, a fire pit with blue reflective glass, beautiful travertine pavers & sitting areas, make this outdoor living space a perfect dream for entertainers. Remodeled in 07/2018, the gourmet kitchen is simply a WOW: a terrific central island, new cabinets with pull out shelves, quartz countertops, full stainless steel mosaic backsplash, Wolf 48 stove w. 2 ovens & griddle, Wolf 48 hood, Wolf built-in microwave, Subzero fridge, warming drawer, beverage fridge drawers, etc. 4 bedrooms with ensuite baths+an office, opening to a charming courtyard with 3 fountains. Master suite offers a viewing balcony, a retreat with a wet bar & a 24subzero fridge, & a marble tiled bath with a jacuzzi, frameless shower door, & oil rubbed bronze rain shower. Two story high living room with an impressive custom staircase. All baths have frameless shower doors & upgraded plumbing fixtures. Custom foyer flooring with natural stones. New porcelain tiles in kitchen. Stainless steel mosaic around the fireplace in family room. Crown moldings. Plantation shutters. 4 car garage w/an electric car charger & epoxy flooring. Enjoy the ultimate living experience here!" 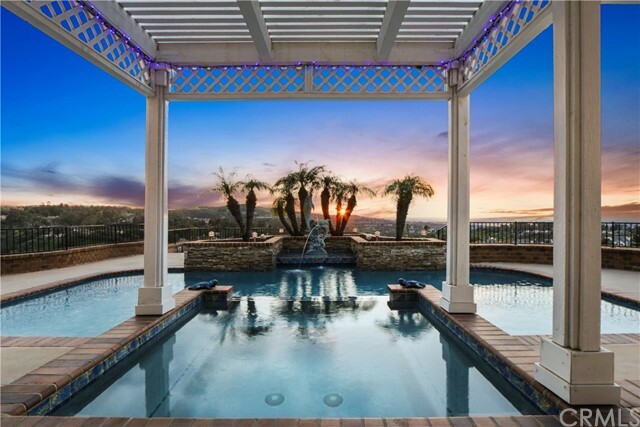 "Located in the exclusive guard-gated community of Belsomet, this property offers approximately 5,000 square feet of living area and one of the best views overlooking Anaheim Hills. Built in 2002, this was the final home constructed in Belsomet and features custom elements not found in any other home in the community. From the first step through the door, you are greeted by a grand entry with soaring ceilings, an abundance of natural light, polished travertine floors, and a sweeping staircase. The spacious kitchen features stainless steel appliances, a granite-topped island and completely opens to the large family room. Alongside the kitchen and living room, you ll find a wraparound bar and wine cellar that are perfect for entertaining. Easily host outdoors with a built-in BBQ, salt water pool and spa, waterfalls, fire pit, and an unbeatable view of the sunset. Downstairs also accommodates a private guest suite ideal for multi-generational families, a library with double doors, large laundry room and a three-car garage. The master suite is complete with a double sided fireplace, balcony, and a spacious retreat. The adjoining master bath features his and her vanities, oversized walk-in shower, separate soaking tub and walk-in closets. Airy secondary bedrooms access a Jack and Jill bathroom with dual sinks. The bonus/flex room can be made into a sixth bedroom, home gym, or entertainment room. This home is a must-see and demonstrates pride of ownership by its original owners." "Just over the Old Bridge lies a beautiful Estate home that is not only timeless and traditional, but modern and sophisticated. Situated on a private, sprawling acre lot, this home beckons you with a classic front porch, circular driveway, spacious family room, full bar, movie theater room, formal living and dining rooms and a fully redesigned kitchen that elevate this home to something truly special. The kitchen features all new cabinetry, granite countertops, custom glass tile backsplash, stainless double sink, pasta faucet, separate coffee pot filler, built-in refrigerator, and chef-quality, hi-efficiency Dacor stainless appliances. Entertaining possibilities are endless throughout, from the handsome Bar and Bonus Room to the expanded outdoor entertainers patio. Upstairs offers a very spacious Master Bedroom with Retreat, His & Hers closets and a Remodeled Master Bath, with custom fixtures & stone flooring, framed by a custom barn door. Two additional bedrooms and one full bathroom grace the upper level. Additional features include: a Main Floor Bedroom & Bath, dark hardwood floors, customs mouldings and designer accents. The custom-built covered patio takes inspiration from Restoration Hardware and embodies the perfect outdoor living space, adorned with custom hardscape, overlooking the pool & spa, fire pit & lush, mature landscaping. Additional outdoor spaces are perfect for tranquil relaxation, intimate gatherings and even gorgeous garden affairs." "Truly a one of a kind gorgeous pool home, with 5 bedrooms and 3 baths found in popular Anaheim Hills. Panoramic views spanning 270 degrees overlooking Anaheim Hills Golf Club from the backyard and master bedroom. This is an ultra-private home found at the end of a large cul-de-sac in an exceptional community. You can marvel at the magic of the Disneyland fireworks nightly right from your own backyard, also during the day find the Los Angeles Skyline in the distance. Entering the property thru your own private single use gate down a long driveway you find yourself at peace when walking to the front entrance where you will find a 3 waterfall and fountain feature pond. The home offers formal dining and living rooms, family room with a built-in bar, 2 fire places, inside laundry room, downstairs bedroom, and 3 car garage with built-in cabinets. The master bedroom highlights beautiful views, a built-in sauna, cedar closet, Jacuzzi tub and separate shower. For the golf enthusiasts the property also offers a tee green and a putting cup hole for a potential putting green. Walking distance to Anaheim Hills Reservoir for you to walk, jog, or cycle around the beautiful water. Backyard access to hiking trails thru the Anaheim Hills Nature Preserve. The backyard features a pool with a spectacular dolphin fountain, and a 12-person Jacuzzi attached, and fire pit for you and your guests to enjoy." "**MUST SEE ** Welcome to a model perfect home in the highly Sought-After 24 Hour Guard Gated Community of Belsomet. Beautifully upgraded with extensive wood work, this home features 5 Bedrooms and 3.5 Bathrooms on a huge private corner lot. It includes a rare and in demand ***master bedroom & bathroom downstairs*** with direct access to the pool. Spa like master bath features a huge tub, walk-in shower, his & hers sinks, vanity, and a beautiful walk-in custom closet. Upstairs, you'll find 4 spacious bedrooms with beautifully installed new solid wood flooring. Entire house has been freshly painted along with Tumbled Travertine throughout the first floor. Elegant formal living and dining rooms feature vaulted ceilings and crystal chandeliers. The kitchen features granite counter tops, center island, dual ovens, 36 Inch GE Profile Induction cook top, Miele dishwasher and a Farmer's stainless-steel sink along with a wine cooler. Resort-style beautifully landscaped backyard with a dazzling salt water pool & spa and built-in BBQ offers tons of privacy with no neighbors around. With too many recent upgrades to list 800 S. Canyon Garden offers the best of Belsome in Anaheim Hills. Don t miss your chance to own this home, schedule a showing today!" "*** BANKRUPTCY COURT SALE - EQUITY SALE (NOT REO, BANK OWNED OR SHORT SALE) *** LARGE HOME WITH GUEST HOUSE IN GATED COMMUNITY OF SUMMIT POINTE. NEEDS SOME UPDATING AND LOVE. SPACIOUS FLOOR PLAN WITH WINE ROOM. BRING YOUR IMAGINATION AND INSPIRATION!" "Relish in the most wonderful tranquil and serene setting where the full moon casts shadows in your backyard. A stunning home with high ceilings, gorgeous wood floors and beautiful upgrades throughout. All you need is your toothbrush! Rich wood cabinetry in the kitchen with convenient center island, granite counters and stainless steel appliances. Amidst mature trees and lush landscaping discover absolute peace and serenity in this tranquil setting. Perfect floor plan offers generous living spaces and an abundance of light throughout. Elegant living room features vaulted ceilings, stone-surround fireplace and opens to the oversized dining room with built-in cabinetry and two sets of French doors that bring the outdoors in. A convenient bedroom and two full baths complete the main level. Spacious master suite offers views to the rear yard and beautifully upgraded bath with soaking tub and large shower, plus three additional secondary bedrooms upstairs. Entertaining is effortless with private grounds showcasing an elegant pool with soothing water feature and spa, dining patios and large barbeque center. Inviting outdoor fireplace is set against a lush wooded backdrop. With a newer roof and AC, new paint inside and out, a 3 car garage and located on one of the most desirable streets in Anaheim Hills, this home truly has it all!" "DON'T MISS OUT on this Stunning & Highly Upgraded 5 B/3 B home in the highly sought after Guard Gated Community of Belsomet. This gorgeous home exudes warmth & luxury. Enter through double doors to an expansive formal living/dining room w/vaulted ceilings, upgraded lighting fixtures, 9mm Woodgrain Tile flooring & picturesque windows framed w/premium trim & adorned w/custom Silhouette Shades. Gourmet Kitchen w/Granite counters, Travertine Backsplash, Tile flooring, built-in KitchenAide refrigerator, Large island w/cooktop, seating & built-in wine fridge. The counter to ceiling kitchen windows overlook beautiful backyard & private hillside. Custom built-in desk area w/storage anchors the one side of this open kitchen design which flows into a dining area & cozy family room w/Granite surround fireplace. Downstairs guest bedroom, upgraded bathroom w/Toto Toilet, Granite & Travertine. Laundry room w/direct access to 4 car garage featuring custom built-in storage & ceiling shelving. Newer water heater, whole house fan, toilets & carpet throughout. Gorgeous curved staircase leads to large master suite w/ceiling fan & view of hillside, upgraded bathroom/shower/tub w/granite & Travertine, & walk-in closet w/custom built-ins. 3 spacious secondary bedrooms & a large bonus room/optional bedroom. Large private backyard, new landscaping front/back. Award winning schools, close to shopping, dining, freeways, toll roads & parks. Come enjoy the pride of ownership this home offers!"